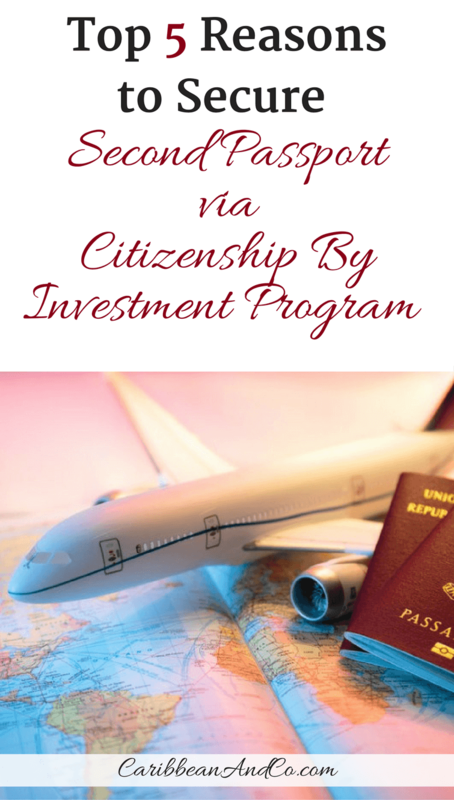 Top 5 Reasons to Secure Second Passport Via Citizenship By Investment Program - Caribbean & Co. The ability to acquire a second passport in as little as three months via one of the five Caribbean Citizenship By Investment Program is a surprise and shock to most people. For many, a second passport is not a commodity to be purchased for a hefty fee but rather earned after immigrating to a new country and going through an elaborate process that often takes years if not decades to complete. Yet, there is antidotal evidence from residence and citizenship advisors that demand for second passports via a Citizenship By Investment Program is increasing and not just from Middle Eastern, Russian and Chinese ultra high net worth individuals. Demand is also growing from British nationals post-Brexit and American citizens post-Donald J. Trump presidential victory. As political turmoil and civil wars increase across the globe, wealthy individuals and their families who live in afflicted countries seek a safe harbor. They may also seek alternative citizenship when there are major natural disasters (earthquakes, volcanic eruptions, famines, etc.) that decimate the working infrastructure of their home country. In both of these cases there may be opportunities to immigrate through refugee programs, but by securing second passports via a Citizenship By Investment Program, it speeds up the process of resettlement and helps to avoid uncertainty about the future. Even if there are no active political conflicts or natural disasters in their home country, wealthy individuals and their families often seek alternative citizenship to have access to expanded civil rights — things that we in the West take for granted. These increased civil rights might be the ability to vote for a democratically elected government, run and hold elected office, buy and sell properties, drive a car, run a business free from corrupt government officials, have unrestricted access to the Internet, religious freedom, etc. These are all things we take for granted in the West but are not guaranteed in some countries. Perhaps the most popular reason why ultra high net worth individuals and even upper-middle-class people now look to secure a second passport via a Citizenship By Investment Program like the one offered by Saint Lucia is the ability to travel more freely without the need for a visa that may take weeks or even months to acquire. For example, a passport from China currently provides visa-free access to approximately 57 countries and territories out of a possible 199. This is quite limiting for not just leisure travel but also for business trips. Thus, a ultra high net worth individual from China who needs to travel frequently to Europe for business, could consider securing a second passport from Saint Lucia which provides visa-free access to 121 countries and territories including the United Kingdom and 26 European countries in the Schengen Agreement (Austria, France, Germany, Italy, Switzerland, etc.). Interestingly, China doesn’t allow its citizens to have dual citizenship, but that doesn’t seem to stop an increasing number from securing second passports. 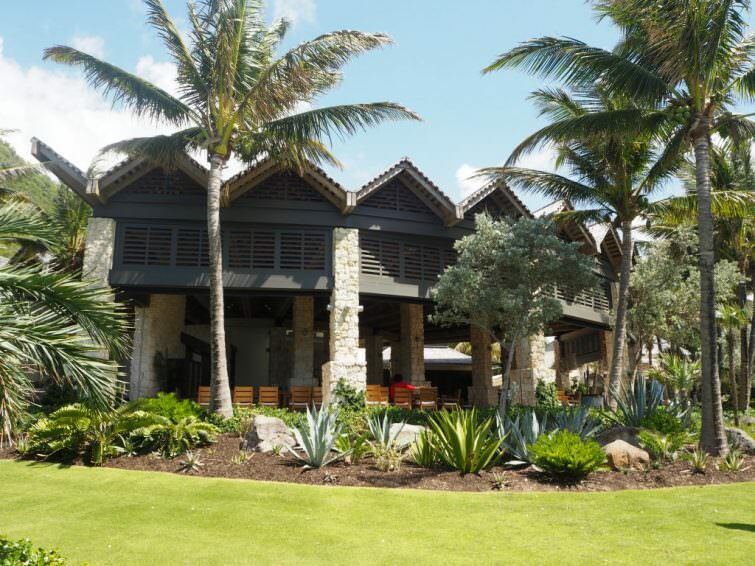 The Pavillion Beach Club at Christophe Harbour, one of the major real estate developments approved for St Kitts & Nevis Citizenship By Investment Program. For people with assets and businesses across the globe, seeking a favorable tax jurisdiction to protect their wealth while controversial is not uncommon. The 5 Caribbean countries offering Citizenship By Investment Programs fit this bill as there are no capital gains or inheritance taxes. Plus income tax is only paid if the new citizens reside in the country and maintain a presence on the island for a certain number of days. Income tax would then be paid on worldwide income. It should be noted that for Americans who are increasingly seeking second passports, their tax obligations don’t change until they renounce their American citizenship. Thus if both passports are kept, the Internal Revenue Services still expects to collect taxes on worldwide income. Also, offshore banks will continue to report to the IRS under Foreign Account Tax Compliance Act (FATCA). Another reason that wealthy individuals and families secure second passports is to reduce their exposure to foreign policy blowback and even kidnapping while traveling. For example, during George W. Bush’s presidency while the Iraq War raged and even now after Donald J. Trump’s White House has banned citizens from 7 Muslim majority countries, the response to Americans while traveling abroad isn’t always positive. So instead of checking into a hotel with an American passport, some choose to check into a hotel with a second passport acquired via Citizenship By Investment Program from countries like Antigua & Barbuda, Grenada or even St Kitts & Nevis who aren’t known for sticking their noses into other nations’ international affairs. These are but five of the top reasons to secure a second passport via one of the Citizenship By Investment Programs. Some are controversial, others not so much! Overall, for the wealthy, it’s another form of insurance; primarily safeguarding against foreign policy blowback, political unrest and anti-immigration policies which have begun to tighten borders and make it difficult to immigrate or just travel for business and leisure. Top Photo Credit: © Romolo Tavani/123RF Stock Photo.